Need a heater, get a gas boiler, right? Wait! Are you sure that’s the best option for you? The cons of conventional water heaters can far exceed the pros, which is why more and more people are switching to electric. A high quality gas model can cost upwards of £5000 – including installation and removal – with the product often not receiving enough use to prove cost-effective. Instead electric models are affordable and provide efficient environmentally friendly heating with no downsides when used correctly. So how do electrical and conventional methods compare? Modern electric hot water heaters are 100% efficient. They convert all the energy they intake into heat for the boiler. This level of efficiency is far greater than gas boilers which are at best 80-90%, a value which can decrease over time. Gas boilers loose some of their heat through the roof or ventilation system, whereas electric heaters are excellent at retaining the set temperature. Conventional boilers expend energy keeping the water permanently warm; they are good at reheating water when the tank has been used up however this is mitigated by their ineffective heat retention. 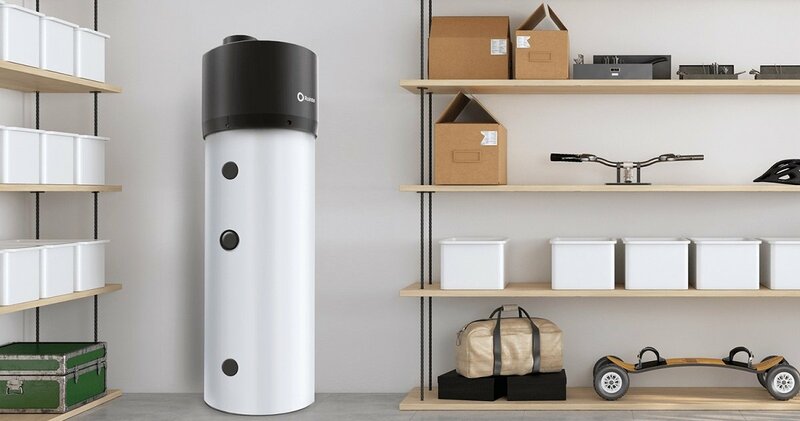 Electrically powered stored water heaters heat the water with coiled elements, and act intermittently to maintain a pre-set temperature, therefore minimising energy wastage. Many homeowners are opting for the slightly more expensive tankless electric water heaters which heat water on demand. These can save a lot of money long term if the water source is not being used regularly. Both electric water heating solutions are efficient and cost-effective, ideal for professionals with small families, landlords or commercial properties. Electric water heaters offer an unprecedented level of control over your heating. If you are replacing a ten year old boiler for the first time then you should know that modern heating solutions have changed with the times, becoming drastically more sophisticated and manageable in recent years. The latest electrical heating systems are Lot 20 approved, employing advanced energy saving technology and customisable settings. Available are models with built-in WIFI for smartphone control and consumption indicators. A standard gas boiler can be connected to an electric thermostat or control panel, however these accessories must be considered in the additional costs and often are only able to turn the boiler on and off at set times. Whereas modern electrical alternatives allow you to take back control of your heating, setting exact temperature settings and programmes, improving comfort performance and safety. Never be caught short and contact your boiler remotely, changing between the customised 24/7 timers or activating a boost function for extra warmth right when you need it. Immediately noticed are the initial costs of gas and other conventional boilers which far exceed the cost of an electrical water heater. It is advertised that the overall expenses of conventional boilers are less than electrical alternatives; this is true in certain scenarios and only if you are situated long enough to make the most out the new boiler. Nevertheless, if you are planning to remain in the household beyond the lifetime of the heater and you decide to install an old-fashioned gas variant, you are sacrificing the efficiency and technology modern electrical models guarantee. Using your electrical water heater intelligently – customising personal settings and remotely monitoring energy wastage – the long term running costs can be reduced; ultimately proving to be far lower than the potential savings granted by a conventional boiler. Heater Shop supplies a range of electric water heaters, including stored, instantaneous and heat pump models. High quality materials combined with the latest technology, our electric heater solutions will become a permanent, loved addition to the home – ensured by our great warranties extending up to 25 years.